I am a media person. I grew up watching TV, reading magazines and listening to radios that led me to pursue some works in the media industry. I then got very passionate to advertising, marketing and to the platform that doesn’t limit information only in tri-media, the world wide web. But being exposed to publishing in the Philippines for quite a long time, I can say that ‘free papers’ are becoming a trend now and unlike the former notion that since they’re-free-they-don’t-have-good-info, I noticed that they are now becoming ‘glossier’ and thicker. 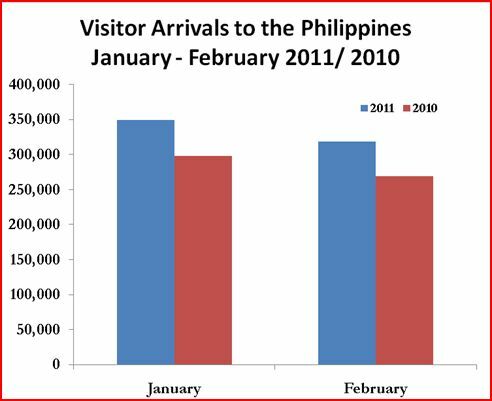 But as I started working for the Philippine Primer, I got more and more exposed to a several Japanese free papers in the Southeast Asia and I started to wonder if this trend is from Japan just like the famous Hot Pepper. What do you think? When I had a short chat with Philippine Primer’s President, Hiromichi Fujita, I realized that Japanese people are having a hard time doing business abroad because of the language and since there are many of them who are interested in investment and business in developing countries like the Philippines, the more they need information in their language that can truly assist them to maximize opportunities in business and life. They have Taste of Laos for Laos! 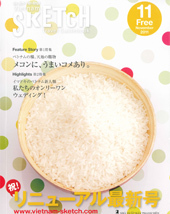 According to AAB Inc., Vietnam Sketch is the first Japanese information magazine in Vietnam that is issued monthly. 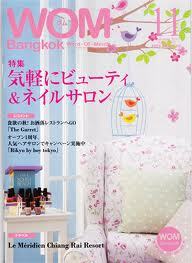 The main targets of the magazine are travelers from Japan and Japanese people residing in Vietnam. It covers highlights of Vietnamese trend, cultural information and living information. 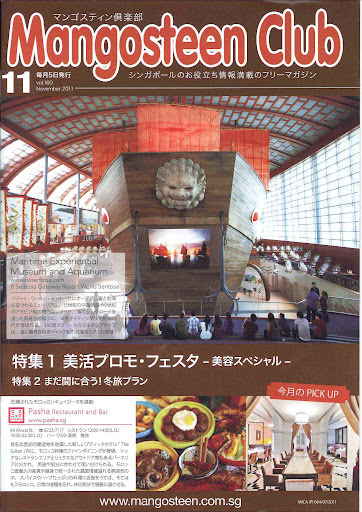 The magazine is distributed to 500 and more places for free in addition to distribution to travelers via travel agencies. 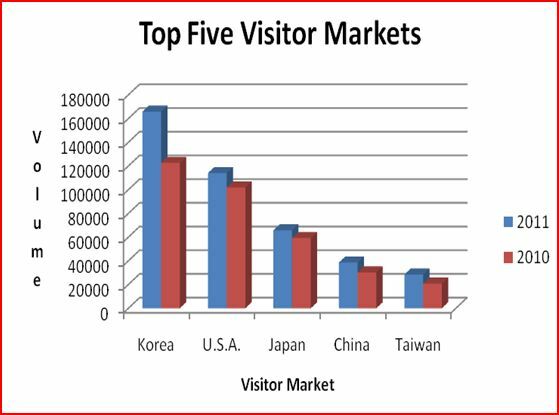 Their websire has obtained the wide range of readership in both Japan and Vietnam. 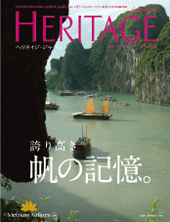 Heritage Japan is a media that appeal to tourists and business people who travel to Vietnam. 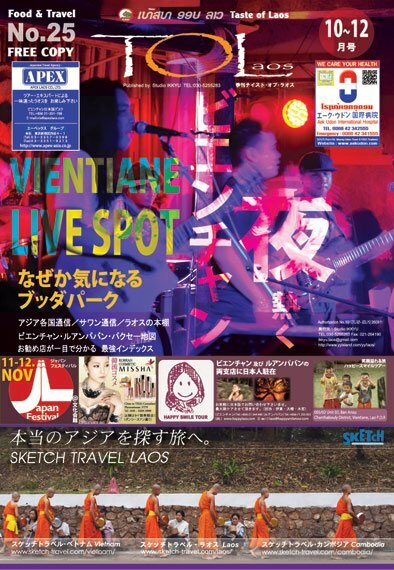 The magazine is distributed to 1,400 Japanese companies in Vietnam and it is considered a reliable medium among local Japanese publications. Wise Weekly free paper is also now being distributed in Ho Chi Minh. IT was first distributed in Bangkok. 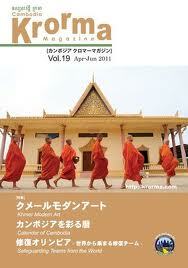 Krorma Magazine is a bi-monthly magazine in Cambodia for the Japanese residents and tourists. 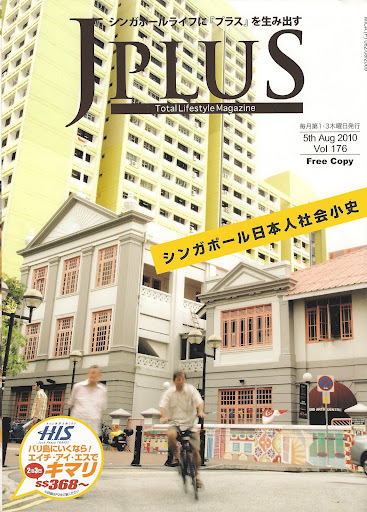 But aside from Jplus, Singapore also has Mangosteen Club, a monthly Japanese magazine. Indonesia is also one of the favorite SE countries of the Japanese. In Bali, Japanese travelers and investors are flying back and forth. I was awed when I had a vacation there and noticed that most of the locals even speak Nihonggo making a vacation so much easier for the Japanese. And of course, Api Magazine always make their lives easy-riffic! 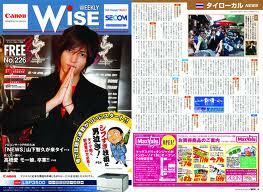 Wise Weekly is a very popular weekly free paper that captures the biggest percentage of Japanese in Thailand. The information that they give is concentrated in Restaurants, Beauty, Schools, and several other industries that help businesses. They also circulate in Vietnam now in Ho Chi Minh city. WOM is one of my favorites for its petite size and beautiful layout. 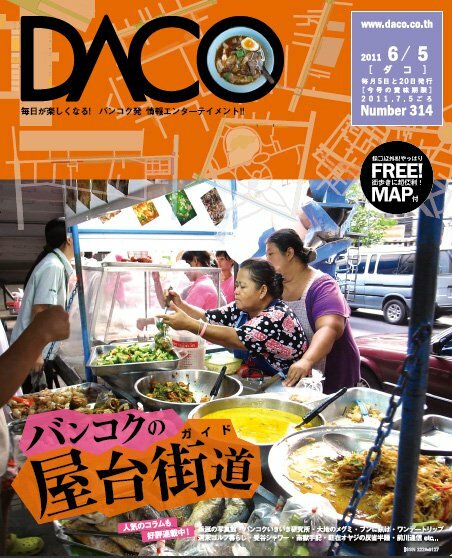 DACO is also distributed in Thailand every month. 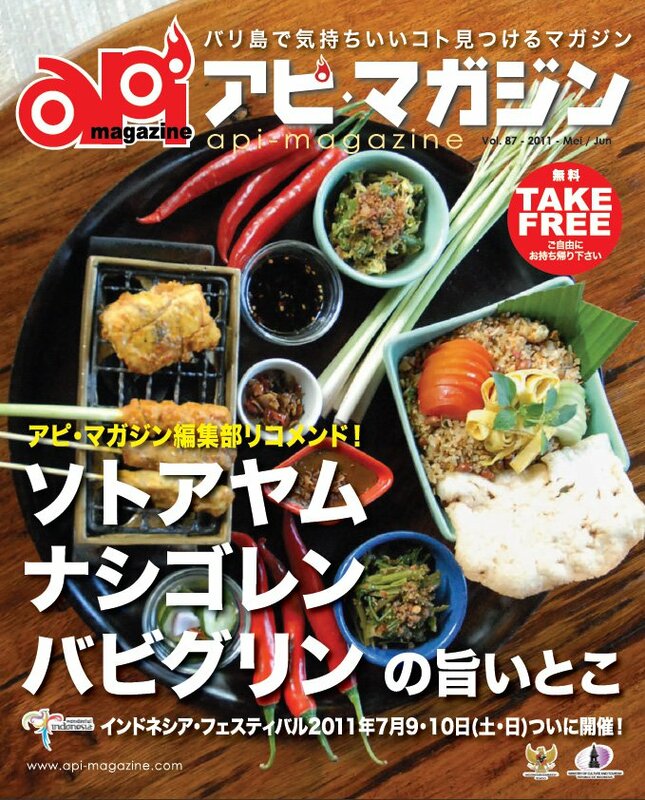 Philippine Primer is monthly lifestyle Japanese magazine in the Philippines that connects local entrepreneurs to the Japanese market. 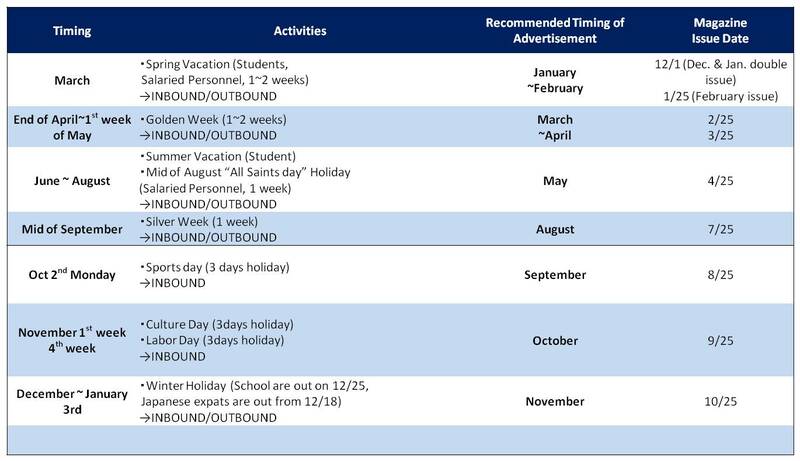 Launched in 2008, it works closely with the Philippine Department of Tourism in publishing various information about F&B establishment, beauty and learning info, the updates on art, sport, business, history and culture. 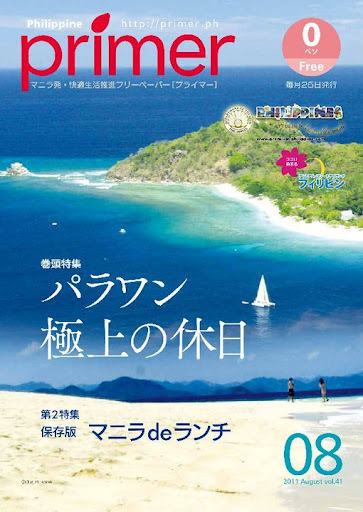 The magazine and website are published ad moderated by Primer Media, Inc. and aims to assist the Japanese expats, residents and tourists in the country. I don’t have information on free papers in MALAYSIA, BRUNEI and MYANMAR so if you know some, just please leave a comment on this post! But in addition, there’s also a Japanese free paper in INDIA, Chalo. Chalo is a free monthly free paper in Japanese in New Delhi. JPy Magazine is a lifestyle magazine for Asian women in Southern California. It was established in 2006 and the first issue was launched in 2007. Their motto is “Happiness is Infectious” in which it acts as an innovative portal connecting global women working towards achieving their goals and dreams in LA with real success stories of actual people. In addition, the quarterly issue of JPy offers the latest tips and information for enriching the lifestyle of LA’s women. 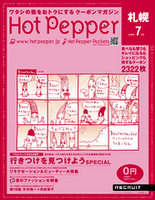 Pocket Page Weekly is the famous Japanese free paper in HONG KONG. And I’ve found out that there’s a Japanese Media Network and the association of Southeast Asian Japanese free paper, Asia Furipe Editors, that help each country’s free paper to share and recommend information about their respective countries. There are also magazines like Domo, J-Style, Move, Concierge, G’day Japan, KauKau, You Maga, etc which I find interesting as well. I wonder if there are some Filipino free papers abroad since there are so many Overseas Filipino Workers. As I trace and research on the famous titles of free papers in the Philippines, I adulate how most of them are owned and managed by Hinge Inquirer, the magazine arm of Inquirer Group of Companies. Free papers based on interests, location and lifestyle..name it, Hinge Inquirer has it! Note: All photos were taken from the internet. Thanks for your never-ending support sensei! But my admiration to the Japanese traits and values was supported by the little fact that I’ve learned lately, that they even have the traditional celebration/party for flower viewing which is called Ohanami or less formally, Hanami (comes from the kanji for flower, hana and the kanji for “looking” or “to see,” mi which means exactly what it sounds like: looking at flowers). According to my friends, it takes place on no specific day which can be practiced any time during spring where they simply observe and appreciate the sophistication of spring – particularly sakura ume and momo blossoms (cherry, plum and peach, respectively). Japanese people do their good old parties under the picturesque cherry blossom trees with bento lunches and mats. They party with different groups- family and friends, and it usually involves a lot of sake. I was amazed with the story that it is a job of the lowliest grunt in the office to go out early in the morning to the place where his bosses want to party later on that evening with a mat and stake out of a choice spot under the trees where he’ll sit all-day. How families try to teach the kids to appreciate spring is adorable also especially since cherry blossom don’t last that long. Ohanami actually started as umemi, or plum blossom-viewing. That’s because back in the Nara period (710-784) – when flower-viewing is said to have first become a tradition – plum blossoms were gaining favor as symbols of culture and nobility. Ume trees had been introduced to Japan by envoys returning from China, who’d been enamoured with the Chinese spectacle of blossom observation and sought to impress Japanese nobles. By the Heian period (794-1185) ohanami had become a regular practice among the higher classes and was observed by eating and drinking outside. We also know from Lady Murasaki Shikibu’s Tale of Genji, a classic novel from the period that by then cherry blossoms had overtaken plum blossoms in terms popularity and become the primary flower associated with the ohanami tradition. By the Edo period (1603-1867), the practice of finding a spot in the blossoming fields to enjoy sake and special bento had become a pastime for the common people. Many plum blossom-themed poems appear in the Manyoshu, Japan’s oldest poetry anthology, and the fleeting beauty of both ume and sakura are recurring themes in classic Japanese literature. Along with singing, reading such poetry has become common practice in today’s ohanami celebrations. 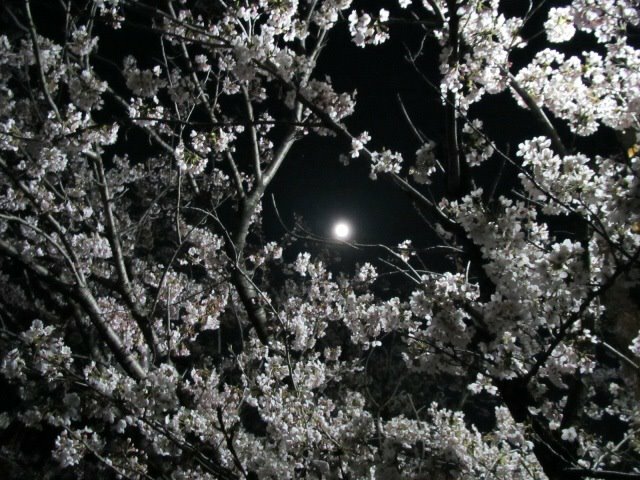 I like how Justhungry.com talked about the cherry blossoms and its leaves as food. I appreciate how Japanese people (especially my Japanese friends and colleague) appreciate little things and every natural process in our environment. I guess it talks a lot about how sophisticated and humble people they are. It’s officially on my list of “30 Things Before 30” now; Cherry Blossoms are way too beautiful. Though I find the title a bit vague and shallow, I opted to put it because it will look good in the layout of my blog: simple. Sometimes, that’s how we are. Because of the complexity of our lives, we miss thinking about the real essence of what we do or the things we have, sometimes, when it looks good or appear good to others, it’s valid. This morning, since I work in a Japanese company which publishes a Japanese magazine about the Philippines, Philippine Primer Magazine, we had an emergency meeting regarding the “real” situation in Japan and how we can help the Japanese community. Our plead is to please refrain from retweeting of UNCONFIRMED Information, especially the avenues to help and find missing people, because it’s affecting those who are sincerely willing to help and who are dying to find their missing loved ones. I came to the realization that (our company’s President is right) in the Philippines, when these tragedies happen, we usually have our Church to trust our donations aside from the government and its agencies. But in Japan, the LGUs (Local Government Units) are the ones who do these kinds of activities, thus there are some organizations who are taking initiatives to help and it’s very annoying to know that there are some misleading organizations that are trying to deceive people about their donations. 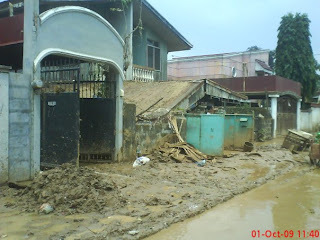 If this kind of catastrophe happens in the Philippines (Lord, please don’t let it happen), I think it will be worse. I remember last 2009 when the typhoon Ondoy hit the Philippines (Manila area), I was working in ABSCBN’s News & Current Affairs and saw how bad is the country’s facilities and preparation in such disasters. seeing this and hearing their stories melted my heart. We all know how “unprepared” the Philippines is compared to Japan. During that time, I volunteered in Sagip Kapamilya’s project and answered the calls for all the concerns of people who would like to help or look for their missing family members and I’ve noticed that many Filipinos are very pessimistic and dependent on the government and other people. If want to progress, I think this is one thing that we have to change: mentality. Japan will definitely recover from this one. As compared to what happened in Kobe (which affected 4% of the country’s GDP), the March 11 earthquake just affected 2% of Japan’s GDP because it was in the northeast part of Japan that is rural and the population is small. Let’s all pray for the safety and recovery of the Japanese people and for our own safety as well. Media is sensationalized at some point, I had a glimpse of that industry and that’s what I’ve studied for four years. I know that at some point there will be a time that they’ll prefer to give emphasis to the more dramatic. Sometimes, media is just a PR. But it’s a good thing to have these brave reporters because we know “something” but we should be vigilant and keen in discovering the other bits and pieces of the story. My boyfriend is in Tokyo now and during breakfast with my Dad while watching TV, we worried a lot about him but maybe, his blog is a breath of fresh air also for all of us who sees things just through the media and hesitant to help. You may also want to read some of Greenpeace thoughts. Simple steps from ordinary people. I believe we all know how to contribute in our own little ways; we just need to believe that it will make a difference even to a single individual. It is indeed true that no matter how knowledgeable we are in the world we’re living in or how technical we are with reference to earthly things, there are some things that are out of our control. Don’t wait for the time that disasters will happen in your life for you to realize that relationships matter. We don’t need to live alone. After all, all we need is LOVE. No tsunami threat in the Philippines for now according to Philvolcs. Also, Philippines is safe from radiation: according to the RP government. 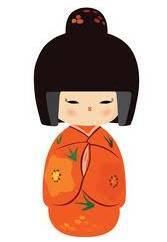 Turning Japanese: Celebrating Hina Matsuri! That is scary, I know. I just arrived from a business trip (from Cebu) when we celebrated the all girls’ day then, we had the “how to handle rejection” training. Definitely, ALL OF US WILL MARRY SOMEDAY. LOL. It’s fun to wake up looking forward that you have new things to discover & experience. 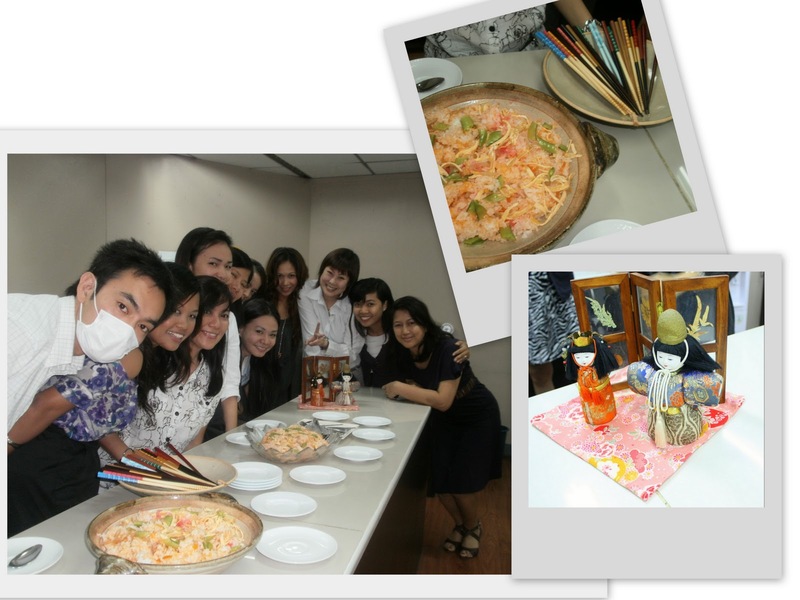 We ate Chirashizushi made by our President, Ms. Jeri. March 3 is Hina Matsuri (Doll Festival or Girls’ Festival), when people pray for the happiness and healthy growth of girls. Families with young daughters mark this day by setting up a display of dolls inside the house. They offer rice crackers and other food to the dolls. The top tier is reserved for the emperor and the empress. A miniature gilded folding screen is placed behind them, just like the real Imperial throne of the ancient court. On the second tier are three ladies-in-waiting, and on the third are five male court musicians. Ministers sit on either side of trays of food on the fourth step, and the fifth row features guards flanked by an orange tree to the left and a cherry tree to the right. The practice of displaying these dolls on the third day of the third month on the traditional Japanese calendar began during the Edo period (1603-1868). It started as a way of warding off evil spirits, with the dolls acting as a charm. Even today, people in some parts of the country release paper dolls into rivers after the festival, praying that the dolls take people’s place in carrying away sickness and bad fortune. Most families take their beautiful collection of dolls out of the closet around mid-February and put it away again as soon as Hina Matsuri is over. This is because of an old superstition that families that are slow in putting back the dolls have trouble marrying off their daughters.